All our tours are private. This means that our guide and our vehicle are at your service throughout the tour. Private tours are not cheap but if you can afford them, private tours are definitely worth the money. There are, for instance, cheaper ways to visit Doi Inthanon on a day tour than doing it privately. 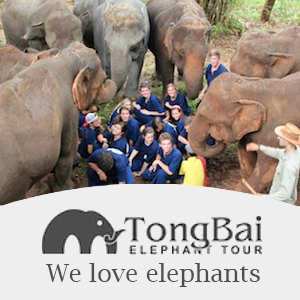 There are so-called join or join-in tours that are usually small group tours up to 9 persons. You will share transportation with others. These other participants have to be picked up from different hotels and dropped off there as well. This means that you lose precious time in traffic in Chiang Mai in the busiest times of the day on the morning and late afternoon. The organising company or the guide will order lunch for you. They will ofcourse take into consideration if you are vegetarian, vegan or if you have other dietary requests. You will have no control though over the food. During activities you will have to adjust your tempo to what has been scheduled in the tour that you have booked. The program will have no flexibility. If you want stay somewhere a bit longer (or shorter) that will not be possible. If you book a private tour with us you will have lots of flexibility. You can inform us the time you want to leave. There will be no loss of time have to pick up or, later, drop off other participants. If there are meals included in the program we will take into consideration your requirements and your wishes. We will always select the best lunch options that are available. As far as the itinerary and its activities are concerned there will be ultimate flexibility. Our guides are very, very flexible and will make any adjustment you with to make. Private tours are more expensive but definitely the best way to get the best experience possible. We can customize all the tours we offer on our website according to your wishes and requirements. This entry was posted in The best things to do. Bookmark the permalink.